I am a project manager responsible for the delivery of transport planning and highway design inputs to planning applications, masterplans and feasibility studies. As I work in a private consultancy this involves liaising with clients, design teams and local authorities and, internally, coordinating the efforts of multi-disciplinary teams. How did you become involved in the transport industry? I have a passion for understanding how people use public spaces, which first drew me to pedestrian planning and modelling, and now to transport planning more generally. Most of my work is in London at the moment and the constraints I face on a daily basis are both challenging and rewarding, with everyday being different. I think this is a very exciting period for transport planning, with a chance to make a positive impact on the long term. 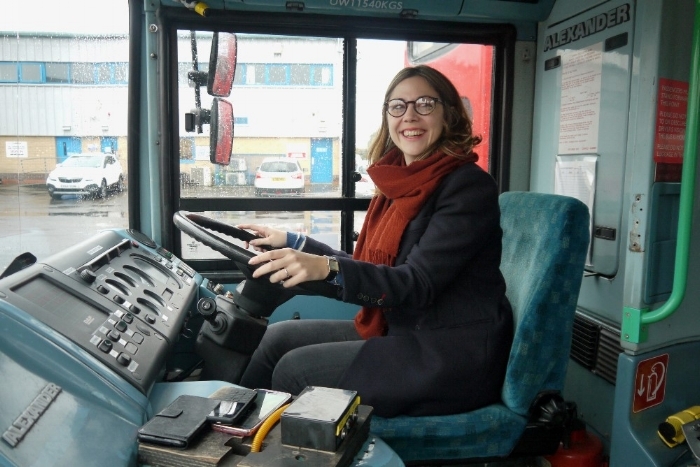 How did you get to join Women in Transport? My previous line manager was involved and encouraged me to attend events to further my career and network in a friendly environment. That was two years ago, and I loved it! What is your role at Women in Transport? I contribute to the Events Committee, particularly the sponsorship of the numerous events that we organise each year. Because we are a non-profit organisation and our events are free of charge, my role is to contact our sponsors to find venues and fund catering. Constantly challenging myself and going outside of my comfort zone. And my team – a very clever and passionate bunch! I think it’s a combination of things, but personally role models have always helped define me, so I would say get more inspiring women at the top!